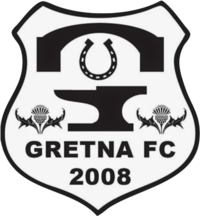 A 3-1 away win at high-flying Dalbeattie Star was the perfect way for Gretna 2008 to improve their fortunes ahead of welcoming Vale in the South Challenge Cup this weekend. Other than their Scottish Cup success against Deveronvale that was their first win since August 27, and they will be hoping it is a start of a return to their early season form which saw them win four of their first six. 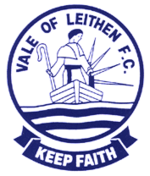 It was a similar story for Vale as they beat Selkirk 2-1 after three defeats. While two of those were against champions elect East Kilbride, they shipped nine in only one game. So both will be hoping to engineer a more pleasant run, and Chris Anderson said: “It was good to get the win last weekend, but it wasn’t the best we’ve ever played. “It was a real scrappy game. but the three points is obviously what we were looking for. Vale thumped Creetown 6-0 in the previous round, while their Dumfries and Galloway hosts enter the competition at this stage. The match kicks off at 3pm at Raydale Park, Gretna.